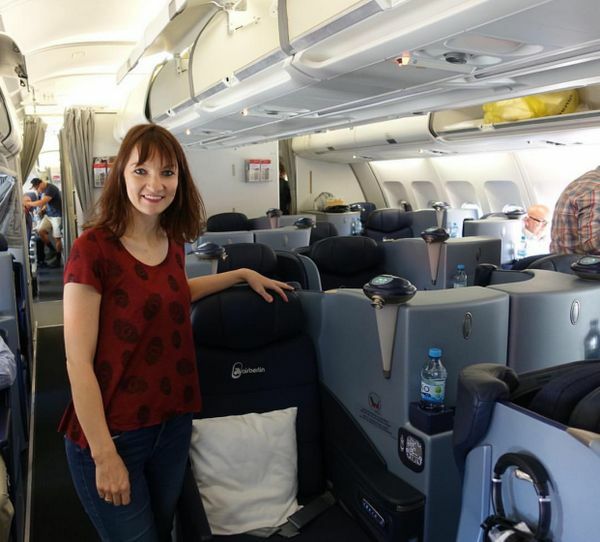 I love transferring Chase Ultimate Rewards points to travel partners, like Flying Blue, Hyatt, and United Airlines. Because you’ll often get the most value for your points. But there are times when using the Chase portal is a better deal when you want a specific flight or hotel because your travel dates aren’t as flexible. With the Chase Sapphire Reserve card, you’ll get a 50% bonus, or 1.5 cents per point, when you redeem points for travel through the Chase portal. 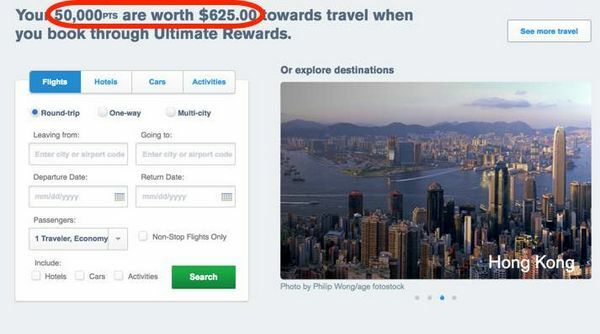 For example, this makes 50,000 Chase Ultimate Rewards points worth $750 in travel instead of the $500 you’d get for redeeming points for cash back. The best part is you can transfer points to your Sapphire Reserve card from other Chase Ultimate Rewards points cards like the Chase Freedom or Chase Ink Business Cash Credit Card. This means your existing points will increase in value! Book an Air Berlin Flight Through the Chase Travel Portal. Because You Can’t Transfer Chase Ultimate Rewards Points Directly to Air Berlin. Chase Ultimate Rewards is my favorite points program! And they are the best points for beginners in the miles and points hobby! So transferring points from the Chase Freedom, Chase Freedom Unlimited, and Chase Ink Cash increases your travel flexibility with Chase’s travel partners. When you book travel through the Chase travel portal, you don’t have to worry about blackout dates for award seats or free hotel nights. And you’re not limited to booking travel with just Chase’s travel partners. Plus, you earn miles and points on flights and hotels booked through the travel portal. Because you’re essentially using points like cash to pay for your travel. One of the perks of the Sapphire Reserve card is your Chase Ultimate Rewards points are worth 1.5 cents each when they’re redeemed for travel through the Chase travel portal. With the Sapphire Reserve, 50,000 Chase Ultimate Rewards Points Are Worth $750 in Travel When You Book Through the Chase Travel Portal! Your points are worth 1.25 cents each when redeemed through the Chase travel portal with other cards like the Chase Ink Business Preferred and Chase Sapphire Preferred. But if you only have points in your Chase Freedom, Chase Freedom Unlimited, or Chase Ink Cash accounts, you’ll only get 1 cent for each point. 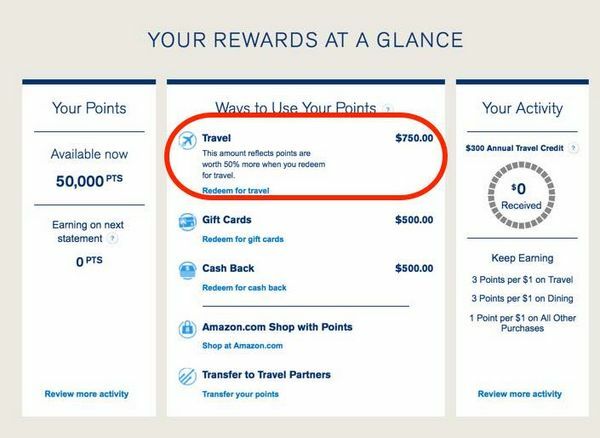 So 50,000 Chase Ultimate Rewards points are worth $500. Note: The Chase Sapphire Reserve is impacted by Chase’s stricter application rules. So if you’ve opened 5+ cards from any bank (except these business cards) in the past 24 months, it’s unlikely you’ll be approved. Instead, you might consider The Business Platinum® Card from American Express OPEN. It currently has a huge 100,000 AMEX Membership Rewards point sign welcome bonus. By adding the Chase Sapphire Reserve to your wallet, you can increase the value of all your existing Chase Ultimate Rewards points! Depending on your points balances, this could mean an extra flight or free hotel night! Because with the Sapphire Reserve, Chase Ultimate Rewards points are worth 1.5 cents each when redeemed through the Chase travel portal. And you’ll have more flexibility to book travel because there are no blackout dates! Do you plan on booking travel through the Chase travel portal with your Chase Ultimate Rewards points? I compared the price of a flight from LAX to MSY on the Chase portal, to the same flight and airline on Kayak. Kayak had a significantly lower amount (about $123 one way vs. $160). The Chase Ult. Rewards Portal seems to reflect the airline’s price (in this case, American Airlines). However, Kayak showed the same airline for the lower price, and when clicking on the flight, it takes me directly to AA’s website for the cheaper Kayak price, all ready to check out. Have you come across this issue? Kind of disappointed that the Chase Ult Rewards portal has higher prices. Kind of defeats the purpose of the points. For reference: My search was for LAX–>MSY from 9/21 -9/24. I tried looking up roundtrip as well as one way. The Chase Ult Rewards and AA prices were higher than the price offered on Kayak for the same flight/airline. Help. I am planning on making a large $18,000 purchase with a credit card within the next 7 days. I have excellent credit and income, and no debt. Am i better off signing up for the Business Platinum from AMEX or the Chase Sapphire Reserve. I fly coach and I don’t fly out of the US. Please advise! I have the Chase Saph Reserve and Freedom, and them the Ink Bold Business. I know I can combine points from the first 2 online, but is there any way to combine them with the Ink Bold? Thanks for this article. I was just wondering about it… if i get the reserve card can i increase all my points value from my ink plus card? To confirm all the UR points that i have can easly be transferred to the reserve card and be worth 1.5?